Keith Fuller, a newspaper reporter whose career took him from small-town Texas to the top job at the world's largest news agency, the Associated Press, died yesterday at his home in Chevy Chase, Maryland. He was 79. Keith Fuller, a World War II bombardier who rose to the presidency of The Associated Press, was laid to rest Friday with military honors at Arlington National Cemetery. Fuller, who ran the world's largest newsgathering organization for almost a decade, was hailed as an "American hero" by his friend and colleague, Hugh Mulligan, an AP special correspondent. Fuller died June 7, 2002. Mulligan said Fuller's modesty prevented him from bragging about his war heroism or his many honors. "When Keith became president of the AP, he did not decorate his office with pictures of himself shaking hands with presidents and world leaders or plaques and awards from various press and freedom organizations," Mulligan said at a memorial service. Instead, behind his desk hung a large painting of the sailboat they shared. "Keith led us through dramatic and difficult times," current president and chief executive officer Louis D. Boccardi said. "We share in his loss and salute his memory." 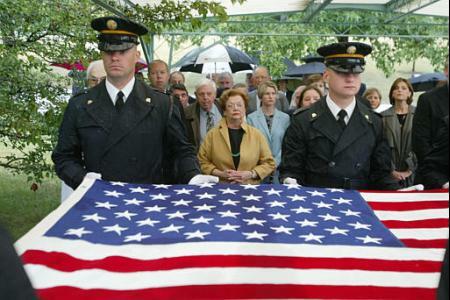 Fuller's widow, Mattisue Scott, received the traditional American flag from the grave site honor guard. Fuller is also survived by a daughter, Barbara Jean Basler; and two sons, Geoffrey and Andrew. Under his leadership, AP increased the number of its overseas bureaus, expanded the range of live broadcast news and took the first steps toward diversifying its sources of income. When he took the helm in 1976, AP served newspapers with just over 70 percent of the country's daily circulation. By the time he retired in 1985, the AP had reached 90 percent. After his retirement, he served for 10 years on the board of directors of Gannett newspaper group. He was succeeded at AP by Boccardi. Before becoming chief executive, Fuller had been AP's personnel director, negotiating union contracts, and took charge of Wide World Photos, AP's commercial photo arm, and Newsfeatures. He joined the AP in 1949 in New Orleans and worked at bureaus in Jackson, Mississippi; Texas; New Mexico; Little Rock, Arkansas; and Denver, Colorado. During World War II, Fuller went overseas with the Eighth Air Force as a navigator-bombardier on a B-17. On his 10th mission with the 457th Bomb Group, his plane caught fire from flak, and he bailed out over Nazi-occupied France. Fuller spent the next 14 months in a series of Stalag-lufts, POW camps for airmen, until U.S. Third Army tanks battered down the gates of Stalag VII-A, outside Munich. Certain that he would not survive the camp's liberation, Fuller ventured out from beneath his bunk only when he saw General George S. Patton himself, in full military regalia with ivory-handled pistols, handing out C-rations to the jubilant inmates. Keith Fuller, who as president of The Associated Press for nearly a decade guided the world's largest newsgathering organization into an age of stories and pictures transmitted by satellite instead of telephone and teletype, died Friday. He was 79. Fuller, who had suffered from Alzheimer's disease, died at his home in Chevy Chase, Maryland. 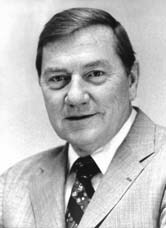 During four decades with AP, Fuller remained a reporter at heart. His career spanned a period, as he once put it, "from Louisiana Governor Earl Long slopping the hogs on his pea patch farm to Ronald Reagan and Mikhail Gorbachev meeting at the summit." As bureau chief in Little Rock, Ark., in the 1950s, he directed coverage of the 1957 school desegregation crisis at Central High School for which AP's Special Correspondent Relman Morin won a Pulitzer Prize. When Fuller retired as AP's president and chief executive in 1985, the news cooperative had 1,800 reporters, editors and photographers in 219 bureaus worldwide. His definition of AP's mission: "We are today, tomorrow and always the most fair and unbiased news report that humans can achieve." Under his leadership, AP increased the number of its overseas bureaus, expanded the range of live broadcast news and took the first steps toward diversifying its sources of income. When he took the helm in 1976, AP served newspapers with just over 70 percent of the country's daily circulation. By the time he retired, the AP had reached 90 percent. He had taken the post as AP's chief executive, succeeding his friend and mentor Wes Gallagher, just as the media's technological age was dawning. "My first capital budget was something like $800,000," he would say. "Within a few years I was scrounging for $16 or $17 million, just to buy equipment. And laptops for every reporter had not yet landed in my lap." To emphasize AP's place in international journalism, he led visits by the cooperative's board of directors to various news spots around the world, notably to China in 1977, when they were received by Premier Deng Xiaoping, and later to Tibet. In 1981, he was given the William Allen White Award by the University of Kansas and a year later received an honorary doctorate of letters from Ithaca College in New York. After his retirement, he served for 10 years on the board of directors of Gannett. He was succeeded at AP by Louis D. Boccardi, who remains president and CEO. "Keith brought the greatest joy to the job," Boccardi said. "He was an adventurer at heart, who delighted in testing new ways to do things and finding new places to plant AP's banner. He could break the grimmest moment with a spark of humor that helped us all find the path to a solution." commercial photo arm, and Newsfeatures. In the latter capacity, he was supervising editor for "The Torch is Passed," AP's account of President Kennedy's assassination, which sold 5 million copies in hard cover and was translated into eight languages. He had joined the AP in 1949 in New Orleans. He covered the Mississippi state capital at Jackson, then became an AP broadcast executive for Texas and New Mexico in 1953. Then he left AP for four months in 1955 to become news director of KCBD in Lubbock, Texas. But "I knew I was not destined to become the next Edward R. Murrow," Fuller would say, "when Mamie Eisenhower came to town and three times I addressed her on the air as Mrs. Roosevelt." He soon returned to AP, served as chief correspondent in Jackson, then moved to Little Rock as bureau chief from 1956-1959. He then was briefly bureau chief at Denver before coming to AP headquarters in New York as a general executive in 1960. Edwin Keith Fuller was born January 10, 1923, on the family's 320-acre wheat farm near Arlington, Kan. He was 15 when his father died and was sent to live with his older married brother in Beaumont, Texas. There he edited the high school newspaper, discarded his first name as "unfit for a cowboy" and acquired a baritone drawl. A freshman at Lamar College, he was also working full time as a $13.50-a-week cub reporter on the Beaumont Enterprise when World War II broke out. Enlisting in the Air Corps cadet program, he went overseas with the Eighth Air Force as a navigator-bombardier on a B-17. On his 10th mission with the 457th Bomb Group, his plane caught fire from flak, and he bailed out at 21,000 feet over Nazi-occupied Nancy, France. Fuller spent the next 14 months in a series of Stalag-lufts, POW camps for airmen, until U.S. Third U.S. Army tanks battered down the gates of Stalag VII-A, outside Munich. becoming a lawyer, but a stint as campus correspondent for the Dallas Times-Herald lured him back to a newspaper career. He dropped out to become a beat reporter on the rival Morning News. In 1949, he received an offer from the United Press, but instead joined AP. Fuller is survived by his wife, Mattisue Scott; a daughter, Barbara Jean Basler; and two sons, Geoffrey and Andrew. The family asked that, in lieu of flowers, donations be sent to The Keith Fuller Memorial Fund, c/o the Alzheimer's Association, 919 N. Michigan Ave., Suite 1100, Chicago, IL 60611.
arrives during funeral services at Arlington National Cemetery in Arlington, Virginia. 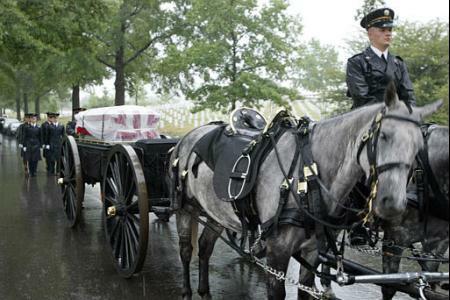 of The Associated Press, was laid to rest Friday with military honors at the cemetery. 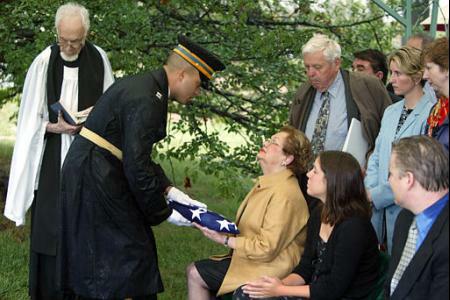 others, take part in funeral services at Arlington National Cemetery in Arlington, Virginia.